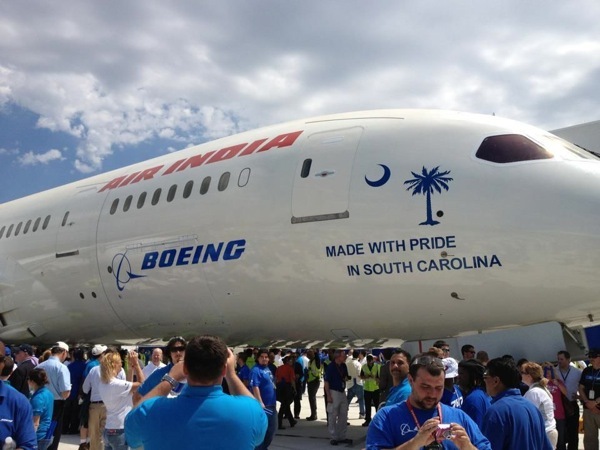 A new report states that the aerospace industry in South Carolina is responsible for 54,000 jobs and has a total economic impact of $17 billion. The report takes into account both military and civilian aerospace jobs, with the single largest employer/company being Boeing. In total, there are 466 civilian companies employing more than 17,000 people across South Carolina, 6,500 of which are employed by Boeing in North Charleston. The remainder of the jobs are military, scattered across the state.